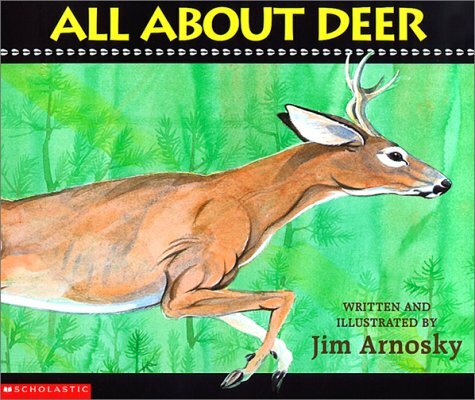 Part of a major reprinting of renowned naturalist Jim Arnosky's beloved All About series, All About Deer is a thorough and colorful introduction to the world of deer. In Spring 08, Scholastic Nonfiction is relaunching Jim Arnosky's treasured All About series with all-new paperback covers! In All About Deer, Arnosky shows how these animals grow and live, answering kids' biggest questions about deer, such as: What do deer eat? What are antlers made of? Why do deer run away from humans? Packed with intriguing information and brought to life by Arnosky's vibrant watercolors, this book will fascinate young readers.